The last time we saw Vince Reffet, he was flying a jetpack within meters of an Emirates Airbus A380. 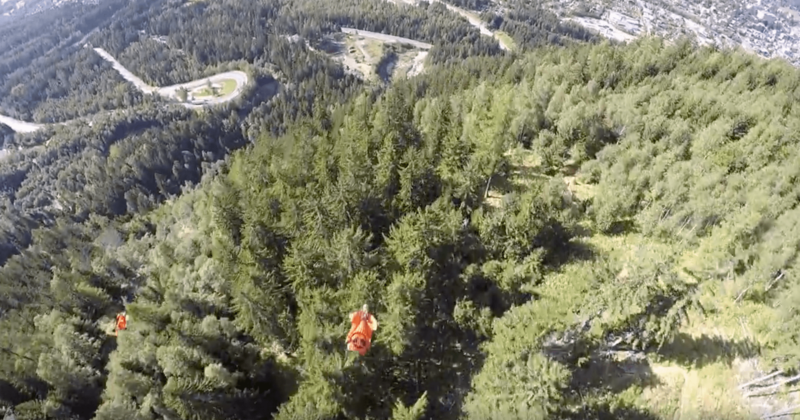 It seems Reffet lives up to his wide-ranging title of “Professional Flying Athlete” as his latest video has him strapping on a wing suit and flying at insane speeds through the picturesque landscapes of the French Alps. For the flight, Reffet is joined by flying partners Noah Bahnson, Nate Jones, Sam Hardy and Graham Dickinson. 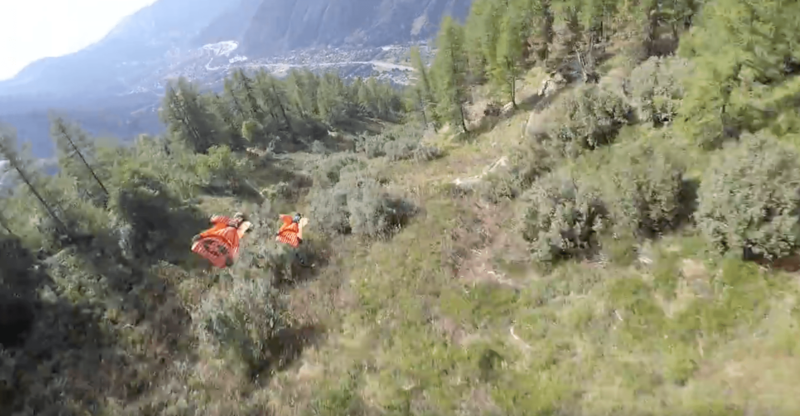 Red Bull athlete Reffet and his fellow flyers seem to have no fear as they leap off the mountain summit and into the unknown, at least unknown for us viewers. The flight seems rather peaceful and calm at first, as the group seems to glide effortlessly over the jagged landscape. But that all changes when the team suddenly nose-dives into a wooded sliver of land as a town looms in the distance. They navigate at blazing speeds through the trees, which seem to be only meters apart. The heart thumping action comes to a close as the team makes it safely through the forest and Reffet deploys his parachute. While we will never have the guts to try this insane sport, luckily for us we have athletes like Reffet and his friends to show us incredible views of the world, in the most unique way possible. And of course, please don’t try this at home unless your name is Vince Reffet. Check out more from Reffet on his Facebook page, Soul Flyers and Redbull Profile.